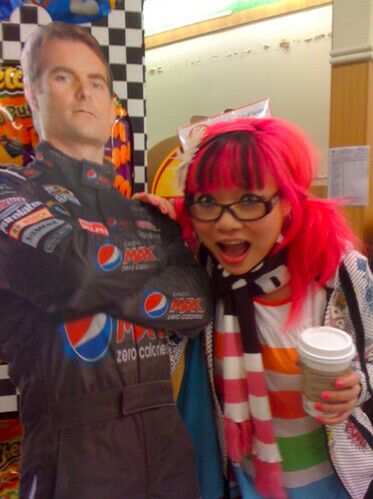 cuz you never know who you are going to run into at the grocery store! In real news: my first order of business is to pick up the craft room and the house a little. It exploded in the last few weeks or furious crafting. Then: I’ll shoot photos of the Renegade Craft Fair leftovers and put them on Etsy, with my usual post-craft-fair-week-long sale :). Your hair looks exceptionally bright in this photo- I love it! Looking forward to hearing about Renegade! his body language is not so friendly!